If you've had one-too-many at the bar (and can't stomach octopus balls to soak up that excess beer), head over to Paisano's Pizzeria and score yourself a slice of New York style pizza before stumbling back to your hotel. 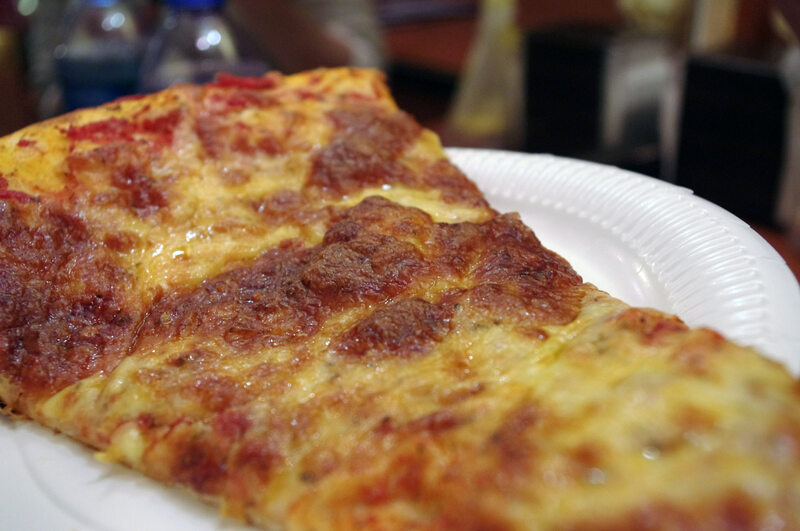 Paisano's isn't the best pizza in Hong Kong, but it is cheap, dirty, and by the slice. No, it's not actually dirty—this chain is quite clean, that's just what we like to call greasy pizza by the slice. The pizza slices at Paisano's are huge, similar to what you'll get at a North American pizza joint, so you'll get a lot of bang for your HK buck. There's a full menu with a variety of pizza flavors as well as pasta dishes, but if sit-down Italian dining is what you're looking for there are better places in Hong Kong—Paisano's is strictly snack food. Of course as you would expect, this isn't as good as New York style pizza—you need New York for that. Paisano's will get you by in a pinch though if you've got a craving, and they're open later than most other fast-food joints. The hours vary from location to location, with the busy neighborhoods with nightlife staying open the latest. The Soho location in particular is open until 3am Friday and Saturday, and until 1am the rest of the week. The Siena Avenue location does closes early (10pm) and every other location is open between midnight and 1pm. G/F, Shop 27, Chan Man St.
Shop G28, G/F., 96 Siena Ave.